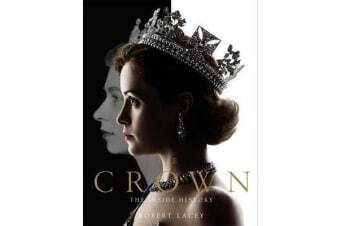 The official book to the Golden Globe and BAFTA award-winning Netflix drama, The Crown, with extensive research, additional material and beautifully reproduced photographs. Elizabeth Mountbatten never expected her father to die so suddenly, so young, leaving her with a throne to fill and a global institution to govern. Crowned at 25, she was already a wife and mother. Follow the journey of a woman learning to become a queen. As Britain lifted itself out of the shadow of war, the new monarch faced her own challenges. Her mother doubted her marriage; her uncle-in-exile derided her abilities; her husband resented the sacrifice of his career and family name; while her rebellious sister embarked on a love affair that threatened the centuries-old links between the Church and the Crown. This is the story of how Elizabeth II drew on every ounce of resolve to ensure that the Crown always came out on top. Netflix’s original series The Crown dramatised Peter Morgan’s powerful portrayal of Britain’s longest-reigning monarch. Written by royal biographer Robert Lacey, The Crown: The Inside History adds expert and in-depth detail to the events of the series, painting an intimate portrait of life inside Buckingham Palace and 10 Downing Street. Here is Elizabeth II as we’ve never seen her before.